When fishing for salmon on the fly we generally think we need a double or a treble hook, this is not the case and when they are hungry salmon will strike at anything, including a good trout lure. 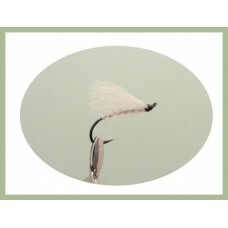 The advantages of the singles are simply, an easy release and the fly is much more streamline, especially for casting. The Anne Greenway salmon fly on a single hook, traditional favourite..
Another classic, the Black Doctor salmon fly from the family of doctor flies is a versatile one for .. 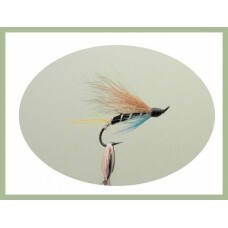 The Blue Charm salmon fly goes back to the 18th century and is still one of the best known today. 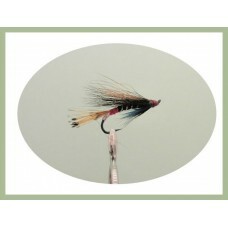 Ti..
Camasunary Killer fly works great on Salmon and indeed sea trout, also a popular fly on th.. The executioner salmon fly is a versatile one for your fly box, another classic pattern for sea trou..
Freeman fancy are a wet pattern devised around 1900 by W. Freeman. Its not as well known as it shoul..
Garry Dog salmon fly originated in Scotland in the early 1900's, A popular choice the pattern works ..
Hairy Mary Salmon Fly for sale on a single hook, in stock for immediate delivery with our usual qual.. 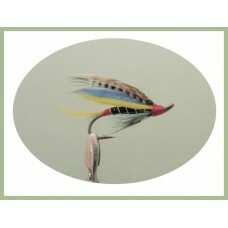 The Mocs Cert fly, perfect for sea trout was developed by Moc Morgan who was a legendary fly fisher .. 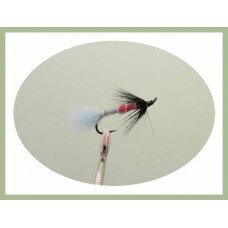 The Polar White salmon fly is a versatile one for your fly box, another classic pattern for sea trou.. 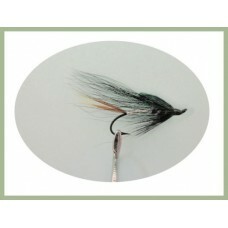 Potato Salmon Fly which we think originated in Norway, good for both Salmon and Sea Trout.. 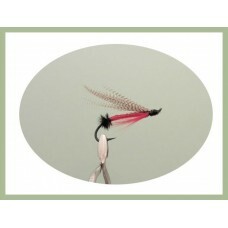 The Scarlet Diver salmon fly, a hairwing salmon fly.. 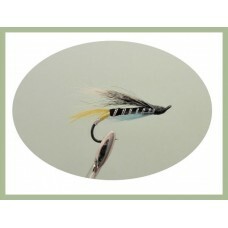 The silver doctor salmon fly has stood the test of time back to 1800's. 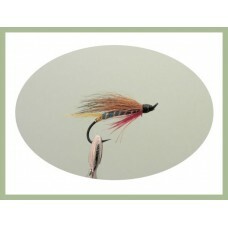 First made as a salmon fly a.. 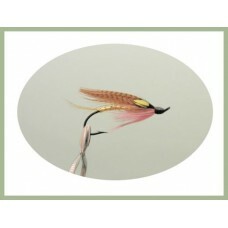 Handy variety pack of 6 salmon flies tied on a single hook. Garry DogBlue CharmSilver DoctorPol.. 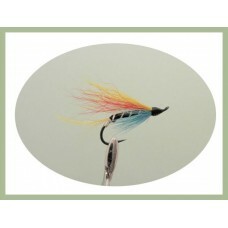 Handy variety pack of 6 salmon flies tied on a single hook. Hairy MaryExecutionerScarlet DiverP.. 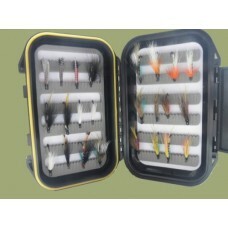 Single hook salmon or sea trout flies, 16 per pack choice of sizes.8 Different DesignsThis product c..
A Mix of 24 Single Hook Salmon Flies displayed in a watertight box measuring 137mm x 88mm..